2016 Ford Transit T-350 LOW ROOF XLT 148in wheel base. Offered by Chardon Motors. This is a CARFAX CERTIFIED vehicle. FACTORY WARRANTY! This '16 Transit Twelve-passenger is a big savings over buying NEW. We like the on-road comfort and driving dynamics compared to the older econoline models. 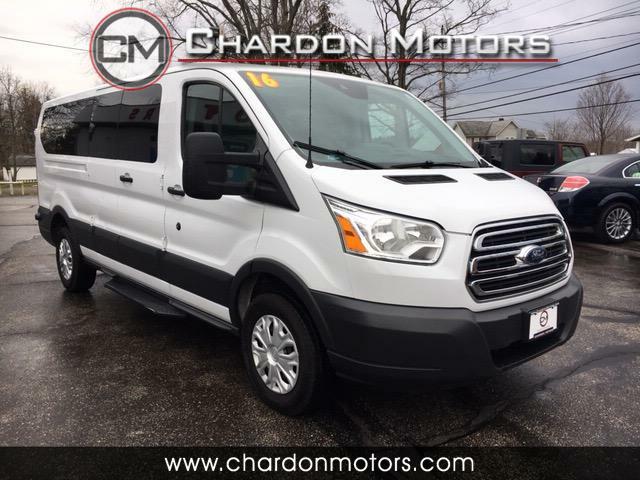 This Transit features THREE factory keyless remotes, Cruise control, front and rear A/C and heat, backup camera, privacy glass, owners manual, traction control, backup sensors, aux input, and much more.